The Iron Goat will be joining us for another extraordinary year of Canmore Uncorked festivities! 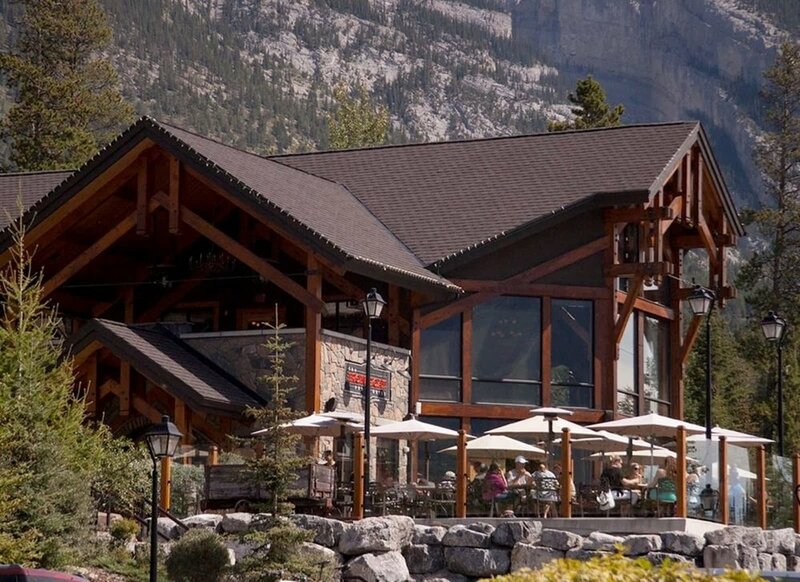 The Iron Goat is special to Canmore for a number of reasons, the first and most obvious being their unbeatable patio providing panoramic views of the Rockies for locals and visitors alike. In addition, The Goat also give back to the community in a number of different ways, including supporting the Canmore Eagles & Marmot daycare children’s program, providing chilli for the MTN grannies and school snacks for elementary students at ERS, and sponsoring local teams and organizations. The Iron Goat has been in operation for over 10 years and they operate under a “never say no” policy when it comes to their guests. They are family friendly, offer substitutions and alterations for a number of dietary restrictions, and take individualistic care with each table and every person who dines here. The Iron Goat team loves the small town vibe in Canmore, that it’s a close-knit community, and that everyone is always pitching in whether it’s a fundraiser for local causes of offering to walk someone else dog or shovel their walk. We’re truly all in this together. This year for Canmore Uncorked, The Iron Goat will be offering their specialty “A Trio of Bear and the Flower” free range pork. They will be using a wide variety of cuts served with some delicious and unique sauce and sides. This will feature as one of the courses for the Long Table Dinner , you can also try this on their $37 set menu during the festival. Enjoy their classic Rib Stack during your visit on the Progressive Dinner Tour served with one of our craft beers. For The Grande BIG Brunch, we will be offering a pulled duck served on a bed of Mango chipotle sweet potatoes topped with a smoked apple butter sauce. We think it goes without saying, but you’re going to want to try what they’re serving! If you’d like a spot on the Progressive Dinners or at the Long Table Dinner, get your tickets below!